Shanghai is the most populous city proper in the world, and one of the largest cities of China. It’s an important financial centre and transport hub that is well known for having the world’s busiest container port. It wasn’t always so, but Shanghai in recent years have become a shining example of the economical boom of mainland China. Tourists also come here quite regularly to see this unique mixture of modern and traditional buildings, to see the spectacular skyline of the city and to enjoy a great time here among the many attractions and features of the city. We have collected the top 20 best things to do in Shanghai to show you why tourists love this place so much. 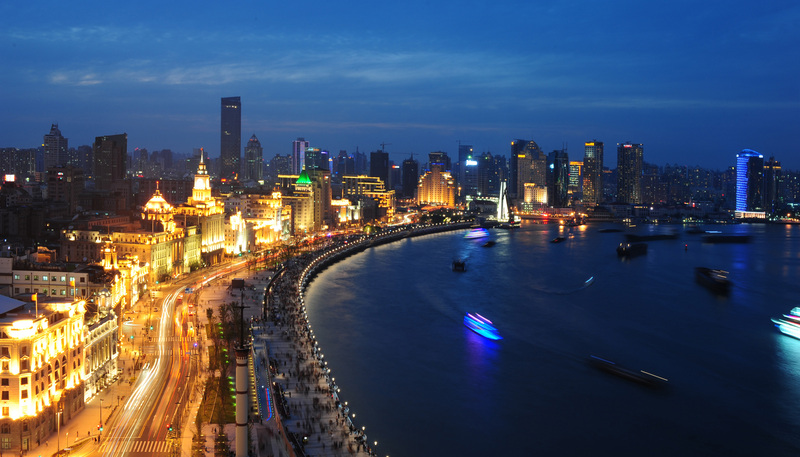 The Bund is a waterfront boulevard that affords plenty of activities, including giving the photographers an amazing view of the skyline on the other side of the river. This may sometimes be hindered by smog, but when the day is clear, there is no better place to enjoy a beautiful view of the city than here. Restaurants, cafés and different vendors can also be found along the boulevard, as well as many older European style buildings, most of which are quite important. Coming here is undoubtedly one of the best things to do in Shanghai. The museum has a collection of over 120 thousand artifacts, including bronze, ceramics, calligraphy, furniture, jades, ancient coins, paintings, seals, sculptures, minority art and foreign art. Most of these are related to the history of China. If you want to learn more about the history of Shanghai and China, then this is the place to go to, as the sheer amount of artifacts and objects that are here are enough to make your head spin. While not directly in Shanghai, Zhujiajiao is an ancient town on the outskirts of the city, that is definitely worth a visit. 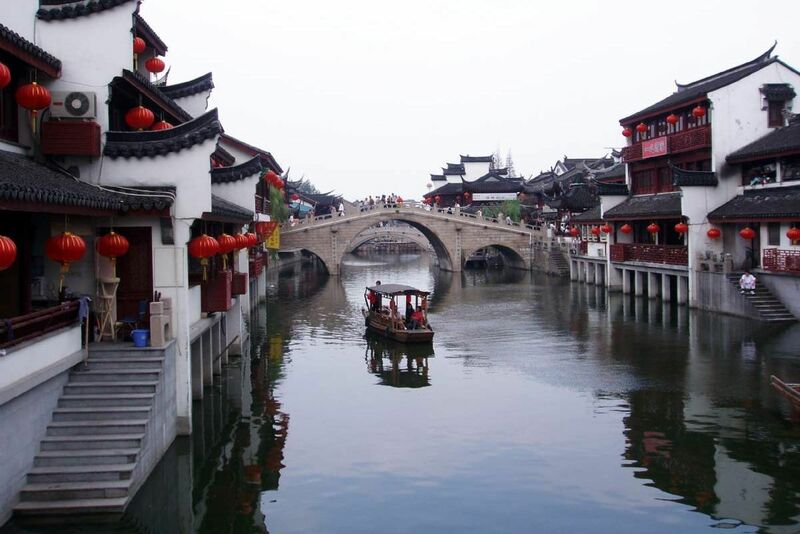 It is often called the Venice of Shanghai, as it is a water town sitting on rivers. 36 stone bridges and numerous rivers line Zhujiajiao, and many ancient buildings still line the riverbanks today, with archaeological findings dating back 5000 years. The city is beloved by many for its charming atmosphere and beautiful style. If you ever saw a picture of the skyline of Shanghai or just tall buildings in general, then you have probably seen the uniquely designed building of the Shanghai World Financial Center. It’s the 9th tallest buildings in the world with a height of 492 metres. Visitors can go up to the top of the skyscraper to get a beautiful view of the entire city and walk on glass walkways, unless you are afraid of heights, of course. 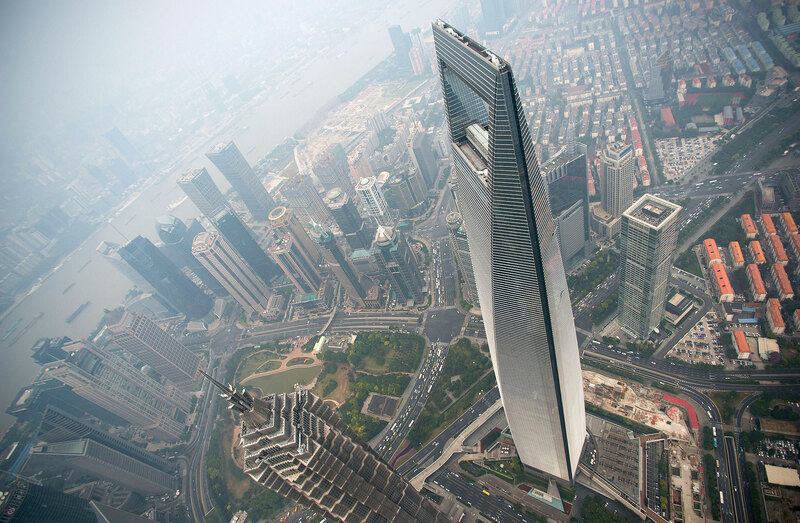 What’s even higher than the Shanghai World Financial Center? The Shanghai Tower, the second tallest building in the world currently, with an amazing height of 632 metres. It has the highest observation deck in the world at a height of 561.25 m, and the world’s fastest elevators at a top speed of 20.5 m/s (74 km/h). Exhibition halls, concert halls, banquet halls, bars, restaurants, spas and much more can be found on the countless floors of the building, making it very diverse in purpose. Yuyuan Garden is the city’s most revered green space. Six main scenic areas and 30 pavilions with ornate structures like decorated bridges and colorful pagodas can be found here, all enclosed and divided by partitions with stone dragons lying on top. Coming here is one of the best things to do in Shanghai if you prefer a more traditional and breathtaking experience inside this beautiful green and red garden. 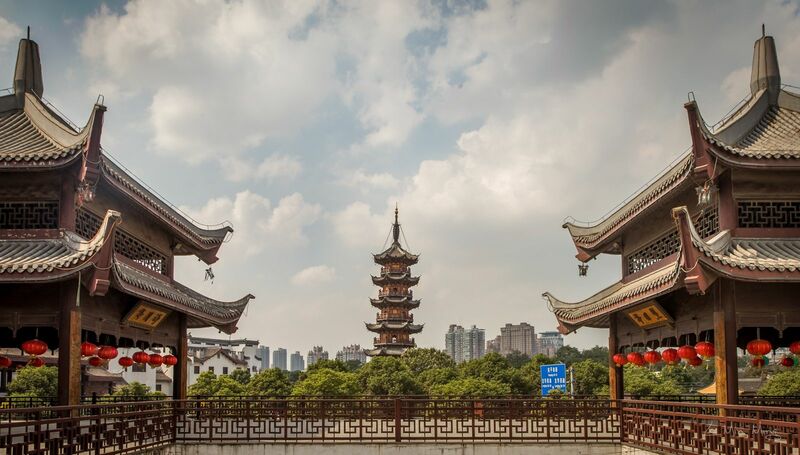 Longhua Temple is the largest and oldest religious complex of Shanghai. The tall pagoda of the complex is unfortunately closed from the public, but everything else can be visited. The complex is said to be best visited in spring when all the beautiful trees and flowers bloom, but it’s still a wonderful sight throughout the year. Don’t forget though that many people come here to pray and worship, so be mindful of them while there. The Jade Buddha Temple is another wonderful temple which is quite popular thanks to its number of buddhist sculptures and statues. The best known ones are two Buddha statues made out of jade, but the others are just as popular. In the Grand Hall, three golden Buddhas represent the incarnations of Buddha (past, present and future), and in the Heavenly King Hall there are four heavenly kings surrounding more buddhas, acting as divine protectors. The Shanghai Maglev is one of the fastest passenger trains in the world that can travel at an amazing speed of 431 km/h thanks to magnetic levitation. The actual distance the train travels is only 30 km, so the journey only lasts 7-8 minutes, but if you have the time and money for it, it is definitely worth to try at once, as it is a fun and interesting opportunity. 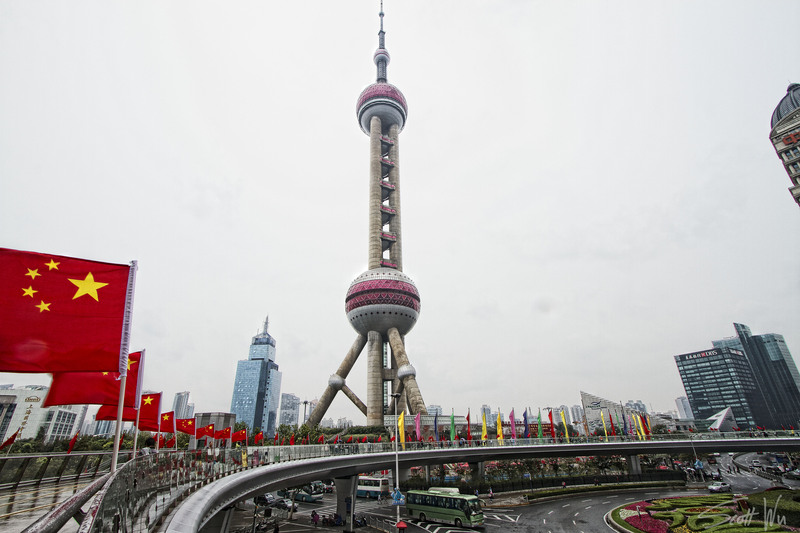 The Oriental Pearl Tower is a high radio and television tower featuring one revolving restaurant, three legs, 11 spheres and multiple observatory levels. Thanks to its unique appearance, it has become a popular and well-known landmark of the city. Part of the current collection of the Shanghai Municipal History Museum is also located at the base of the tower. Nanjing Road is the main shopping street of Shanghai, and one of the most busiest of its kind in the world. Retail shops from all around the world have set up their shops here, next to countless local shops and department stores. If you plan on shopping in Shanghai, then this is the best place for it, since the sheer number of shops here is amazing. Located at The Bund is the Bund Sightseeing Tunnel, tourists can hop on a small, futuristic rail car, which takes riders through a tunnel which is covered in pulsing, strobing lights that attempt to simulate flight through a psychedelic version of space. Some find it wonderful while others think it’s a bit terrifying. Well, only one way to find out how you will react to it. The Propaganda Poster Art Centre holds a collection of propaganda art and posters from the first 30 years of the People’s Republic of China that have been given English explanations. The posters range from pictures of battles against the Communist Party’s enemies to peaceful visions of life in a model socialist society. The Rockbund Art Museum is a contemporary art museum in central Shanghai. One of the most popular pieces is the Confucius Number 2, which perfectly resembles the philosopher down to the long beard, wrinkles and age spots that are present on his face. 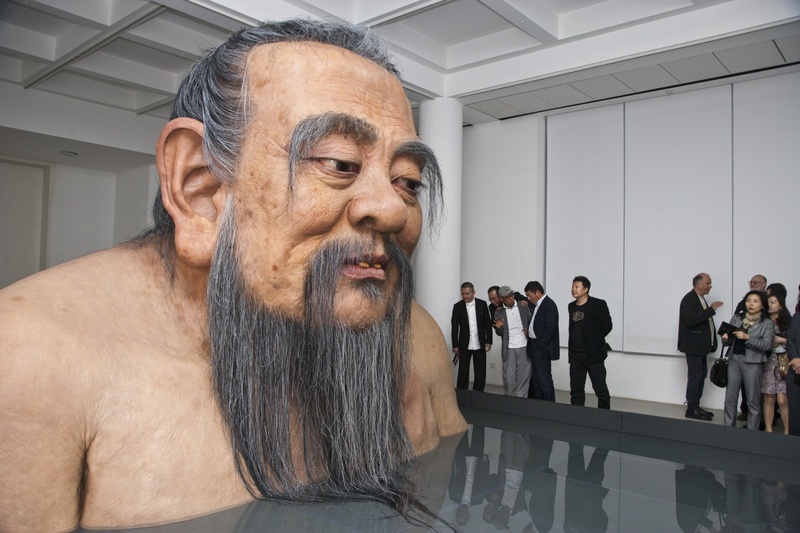 It’s a lifelike statue of him in a bathtub, which is just as weird as it sounds. The Shanghai Circus World is a quite popular acrobatic circus which mixes modern lighting and staging effects with traditional Chinese acrobatics, magic, dance, animals, and music. If you happen to like circus then be sure to see one of the shows here. The Shanghai French Concession might seem very out of place in Shanghai, and it is quite so. The French styled buildings attract many Chinese and foreign citizens alike thanks to being unique and beautiful. Shopping and different attractions are both available and encouraged here. 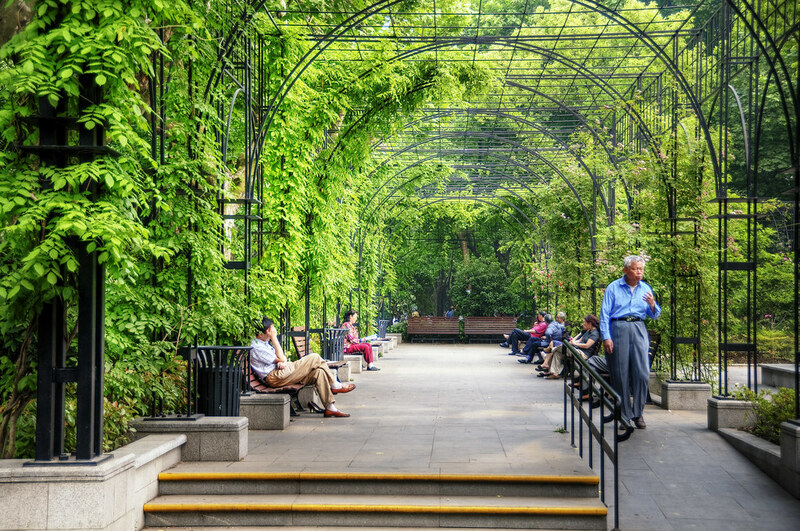 Fuxing Park is located in the former French Concession and is beloved for its mixture of Chinese and foreign style. Lakes, pathways, gardens and statues fill the place, with many dancers, card players, mahjong enthusiasts, and tai chi solo and group artists coming here every day early in the morning. The China Art Museum is housed in the former China Pavilion of Expo 2010, and is one of the largest art museums in Asia. The museum has a collection of about 14 thousand works of art, mainly from Chinese modern art. Even if you are not interested in art, at least check out the building itself, as it is quite unique and wonderful in its design. The Expo Axis is located near the China Art Museum as this was built for the Expo 2010, just like the China Pavilion. It’s one of the world’s largest membrane roofs, and a spectacular sight during the day, and especially at night when it is illuminated. 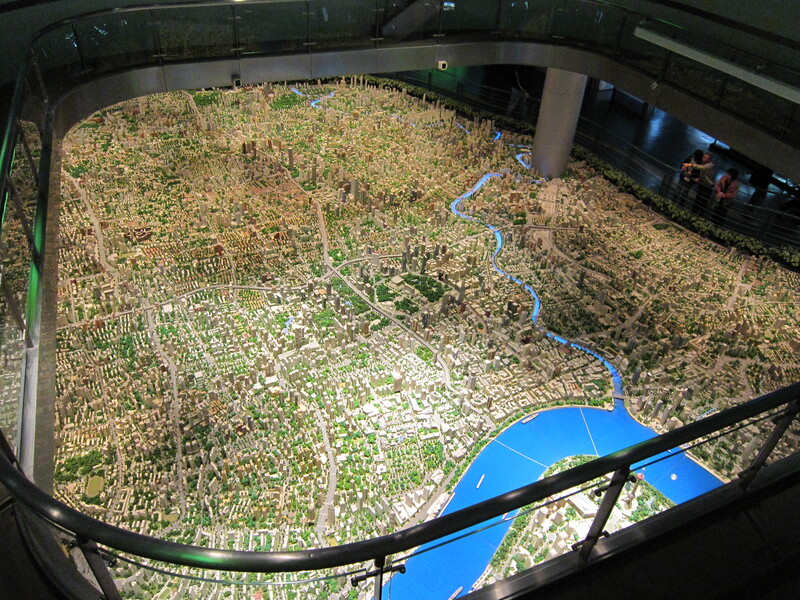 The Scale Model of Shanghai is located at the Shanghai Urban Planning Exhibition Center. It’s a huge scale model of the city of Shanghai, showing all existing and approved buildings, which visitors can see from both alongside the model or from above on a gallery going around the model.